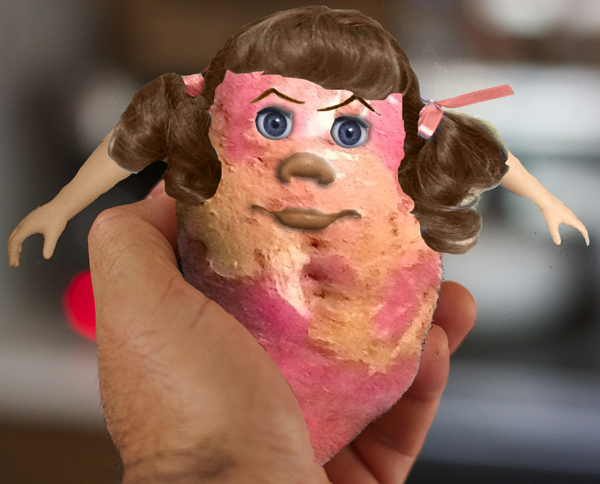 After I posted “I Ain’t No Spud, Bub!” this morning, my Super True New Old Radio Friend @scottlo suggested that the picture would work for the Yam assignment. And I will confess, I did think about this today as I was working with the Potato Head kit. Scott’s recommendation was just too good to pass up, and so after chasing down the authentic Yam from Joan Shaffer (@echoln), it was a simple application of the magic wand, the eraser, the rotate, the scale, the eraser, adjust the layering, and boom! I especially like the way my hair ribbons (that I had previously colourized to go with the colours in my #ds106radio shirt) match the skin tone of my yambody. I look wonderful as a Yam! This entry was posted in Assignments, ds106, friends, Visual and tagged @cogdog, @echoln, @scottlo, ds106, ds106zone, iamTalkyTina, Joan Shaffer, VisualAssignments, VisualAssignments311, yam on July 3, 2013 by iamTalkyTina.